I﻿ was actually reminded about this story a few weeks ago (weirdly coincidental) when teaching expository writing to my students and trying to explain the importance of making sure you have all the steps of a project down. 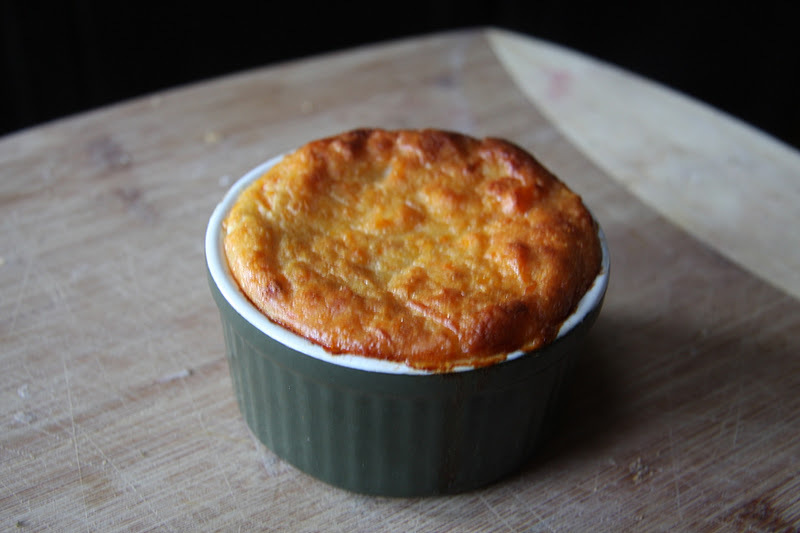 I told the story of my first ever souffle. How I was this rather weird 10 year old who loved to cook and wanted to make something spectacular for her folks so I chose a souffle. The recipe called for the usual; eggs, cheese, butter etc. I measured everything out, doublechecked and it was…a hard cake of glop which my Dad (bless him) chipped out of the pan and somehow choked down. That is the sort of devotion that only a parent can muster. Even your best friend will not eat something that horrible. This was not what the picture had promised. How could I have gone so wrong? Seriously. I didn’t attempt a souffle for a very long time until I reread that recipe a few years later and they had left out the part where you separate the eggs and whip the whites. Sort of crucial if you want something that a person other than your Dad will eat. Here’s what I can do now-with the right recipe. Pop by later this week to see how these lovelies are easily made. I promise I won’t leave out the part where you whip the egg whites to a firm but happy peak. Souffles scare me. You are far braver than I am. Congrats on "getting it right." I won't even attempt one of those now… how you even attempted it at 10 is amazing!Stopping by from Mama Kat's. This one is just so easy. Recipe to come in just a few minutes. SO GLAD you guys are reading.What can I say-I was a weird little kid. That looks delicious (the 2nd pic, not the first..hahahaha!! )It technically wasn't your fault since the recipe left out a crucial part! !I love cooking blogs! Following your blog and on Pinterest now! Try my olive oil chocolate cake. Unless you burn it-it will work. That looks yummy. I'm afraid to make a souffle, but my ex's mom always made a mean cheese souffle. I wish there was some way I could steal her recipe, lol.